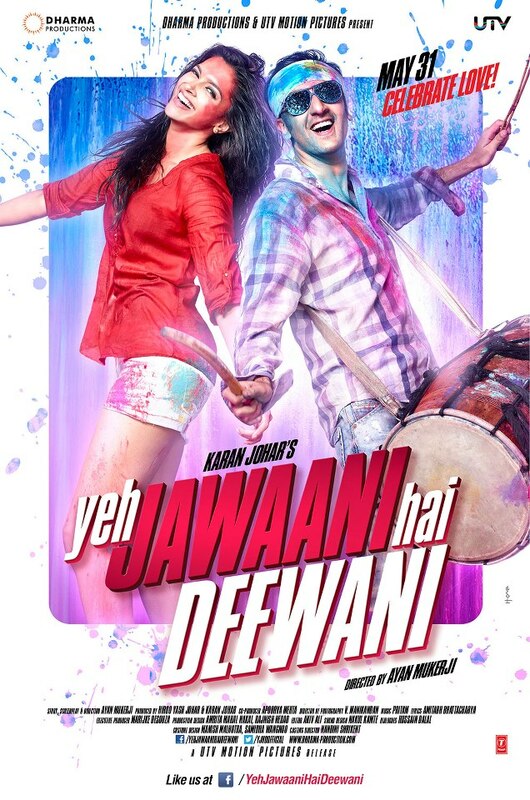 Dharma Productions released the first look posters of their much awaited summer release Yeh Jawaani Hai Deewani this morning and we have them for you right here. The film stars Ranbir Kapoor and Deepika Padukone and is directed by Ayan Mukerji, who helmed Wake Up Sid back in 2009. Apparently, Johar has stated that the film is a tribute to the Nasir Hussain brand of filmmaking, and according to initial reports, Padukone plays Naina - a naïve 20 year old and Kapoor plays a character named Bunny and sports an earring. Rumour also has it both Padukone and Kapoor have had had drastic makeovers for the film, and will be seen in never before avatars. The film has music by Pritam and also stars Aditya Roy Kapur, Kalki Koechlin and Rana Daggubati. It releases on 31 May 2013. Check out the first look posters of the film below (click to enlarge thumbnails).